Renthal trials grips have been an industry standard and have been used by more world champions than any other grip on the market. Available in two advanced rubber compounds: soft or medium. 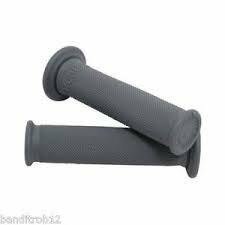 The grips feature a smaller inner flange and an all diamond pattern for the greatest amount of tackiness, shock absorption and feel.